Sena Home Furniture is a UK furniture store with a fantastic track record. Over the years since the company’s creation, we’ve provided our clients with an incredible selection of the some of the highest quality furniture available on the market. Our experienced team comes up with truly creative, innovative solutions to always bring you the best product you could ever hope for. All that, combined with access to some of the best materials in the UK, makes us one of the best furniture stores available in Cambridge. If you want to check out our offer personally, feel free to visit our shop. We are open from Monday to Saturday, 10.00a.m. to 6.00p.m. Sena home furniture offers some of the best furniture for any Cambridge home. 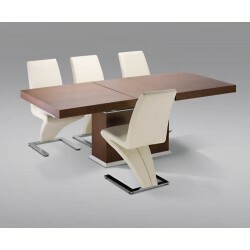 With an excellent selection of furniture for various rooms in any household. With some of the best catalogues of modern furniture around, you’re bound to find something for your home. The bedroom is one of the most important areas of the home. With Sena Home Furniture, you have access to some of the most stylish bedroom sets in Cambridge. 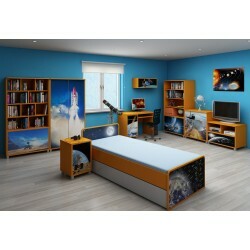 Just take a look at our vast selection and outfit your bedroom with the finest furniture available. Are you looking for the ultimate stylish yet space-saving solution for your living room? Sena Home Furniture has something just for you. We offer some of the most stylish corner sofas available in Cambridge – just check out our catalogue! Contemporary interiors demand solid, contemporary furniture in order to truly bring out that modern character. With Sena Home Furniture, you can count on some of the best modern furniture available in Cambridge. Looking for a practical, stylish modern sideboard that will perfectly compliment the sleek look of your home? Take a look at Sena Home Furniture’s incredible selection! You’re bound to find just what you need – after all, we’re one of the best stores available in Cambridge. A coffee table is an integral part of any living room. If you’re looking for a solid, high-quality, modern coffee table, Sena Home Furniture has something just for you. With one of the best selections of modern coffee tables in Cambridge, you’ve come to the right place. Decorate your lounge with the most chique, most elegant contemporary furniture with Sena Home Furniture’s exquisite lounge collections. Check out our catalogue now and you can be sure you’ll find the best selection for your Cambridge lounge.